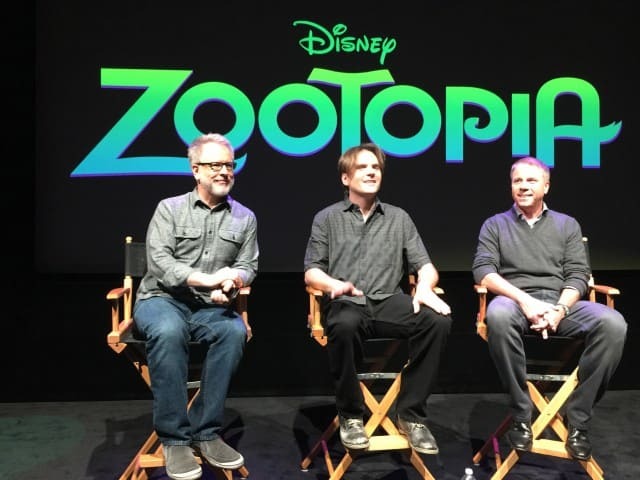 I had so much fun interview Byron Howard (Director) , Rich Moore (Director) & Clark Spencer (Producer) of Disney’s Zootopia. 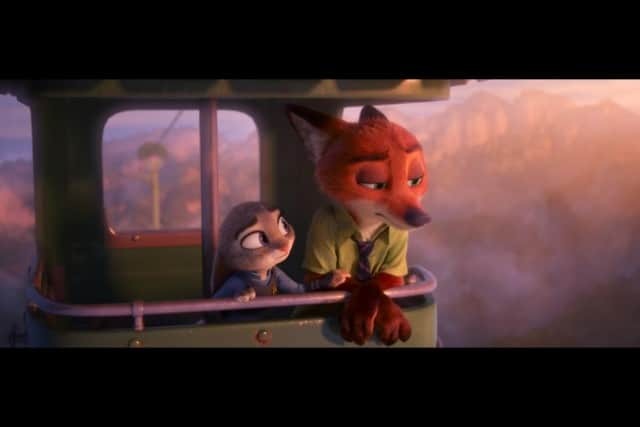 My kids LOVED Zootopia and we saw it many times in the theaters so I was excited to learn everything I could about the movie to share with my kids. It is always fun learning the behind the scenes because it makes a movie that much more fun to watch. Byron Howard, Rich Moore and Clark Spencer were so much fun to talk to and you could tell that they really were passionate about the movie that they had made. Here are some fun facts from our interview. 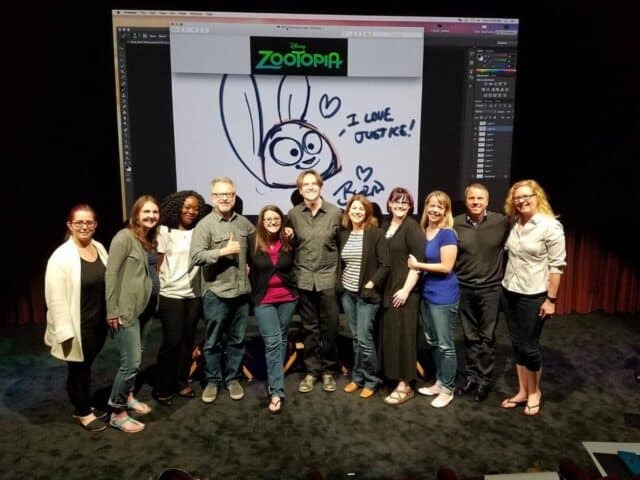 The biggest challenge the creators of Zootopia came across was figuring out how to combine animals and humans without making them look or act too much like humans. They wanted to be true to the animals in their environment and they really had to do a lot of research to learn about how they moved, how the act and then they took those animal personalities and brought it into the movie. For example, animals don’t have shoulders. How do you get their clothes to fit and have them movie like an animal when its more of a human characteristic. 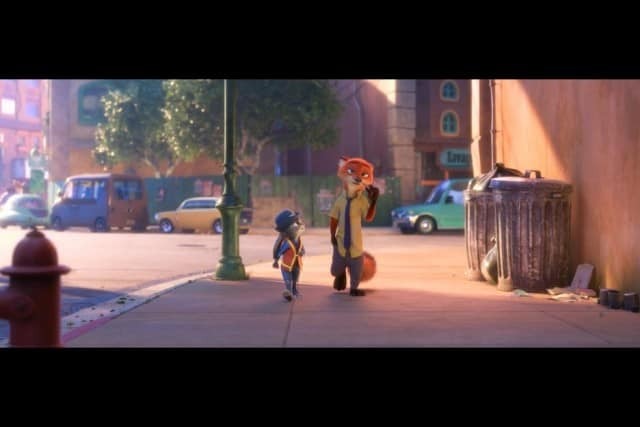 There are 6 different environments in Zootopia. Each environment has a different color pallet that makes it unique. 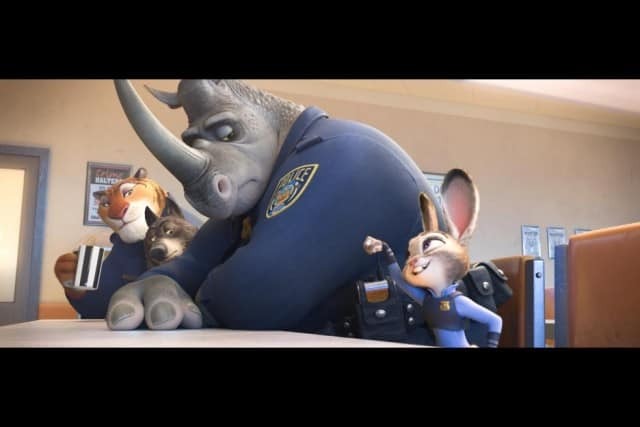 In Zootopia, there are 64 different species of animals with different fur groom. 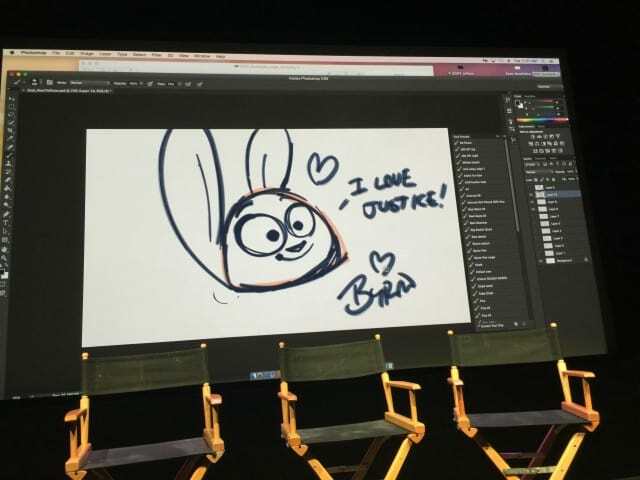 Zootopia took 5 years and over 500 people to make. In the last year of making this movie they decided that they needed to scrap the original story that they had and change the story. They originally had Nick as the main character and he was very cynical. 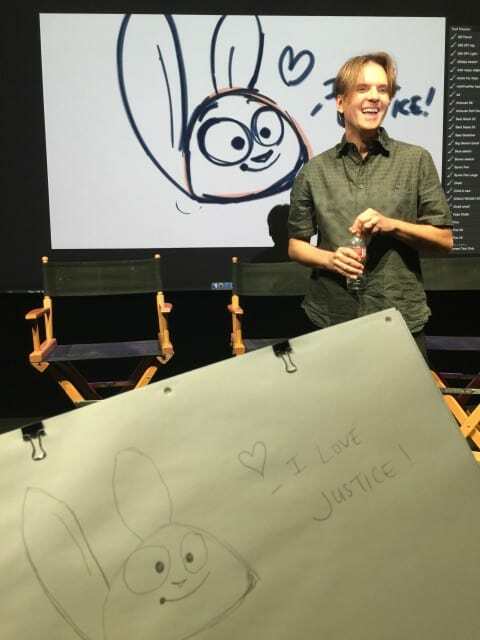 They found that Nick’s character was making test audience cynical so they made the choice to make Judy the main character. In the original version of the film, the predators wore shock collars. This would help them control their behavior. There is a deleted scene on the Bluray about a young bear who finally received his shock collar. This was an emotional scene in the movie because the young bear was so excited because to him, the shock collar meant he was growing up, but to father bear it meant it was sad, because it meant that young bear was no longer free. It took lots of research before making this film. In research you learn things you would have never thought of. The visited Africa, and other animal parks so they could really learn how animals moved. They found that their visit to Africa was most inspiring because they were able to learn how animals moved in their natural environment. While in Africa they were amazed by a watering hotel near their camp site. At this watering hotel prey and predator would come together for a drink. It was a safe ground where they would get along because they all found a need there. 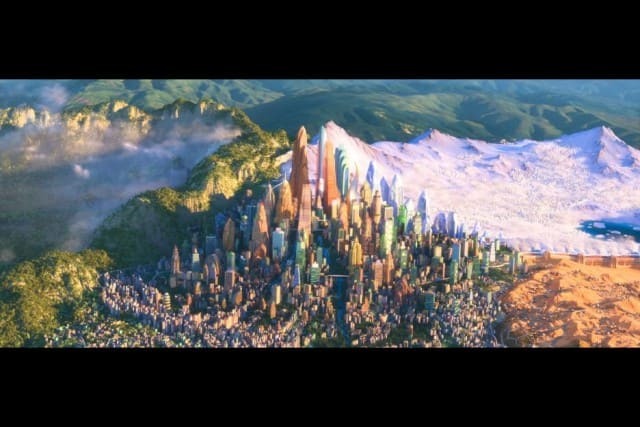 The creators of Zootopia wanted the big city to be like this because in order to make the city work they all needed to get along. Scale was a difficult challenge in making this movie. They wanted to be true to the size of each character but that is difficult when you are making a scene with a giraffe and tiny mouse. The creators wanted their audience to learn that even the most good natured person can make judgement. In the end they wanted happiness and safety because under our skin we are all the same! After our interview, we had the fun opportunity to learn how to draw a character. We had the opportunity to pick our character and our group chose Judy. Director Byron Howard did a fast sketch for us so we could learn the basics of how to make this character. It was fun seeing the director draw this character and add so much personality to it. I wish I could draw. I think that it would be a really fun talent to have. I quickly learned that I am not an artist and I don’t think that Disney will be hiring be any time soon. 🙂 My kids told me that my Judy looked more like a Vampire Bat than a bunny. It is always fun to learn more about the process of making a movie and having the opportunity to try what the artists do on a daily basis. There is so much that goes into the making of a movie. 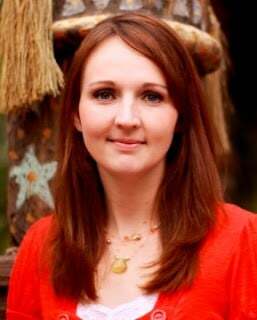 This amazing trip to Los Angeles was hosted by Disney. All opinions are my own. Disney’s Zootopia will be available on Blu-ray, DVD and Digital HD June 7th, 2016.